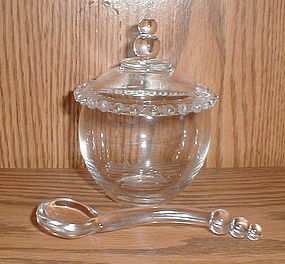 Crystal Candlewick 3 Piece Marmalade Set (jar, lid and ladle) all pieces in excellent condition with no damage. 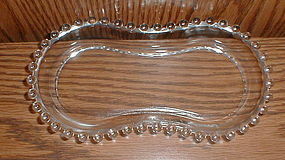 Crystal Candlewick 7 1/4" Tray in excellent condition with no damage or use marks. Crystal Candlewick Creamer and Sugar, both in excellent/mint condition with no damage or use marks and still have the original label. 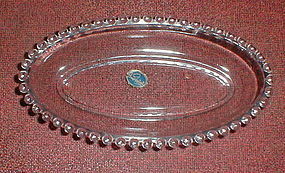 Crystal Candlewick 8 1/2" Celery Bowl in mint/unused condition with no damage or use marks and still has the original label. 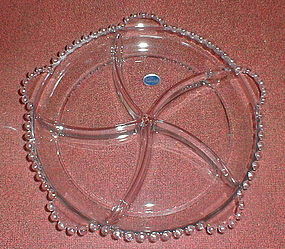 Crystal Candlewick 10 1/2" 5 Part Handled Relish in mint/unused condition with no damage or use marks and still has the original label.